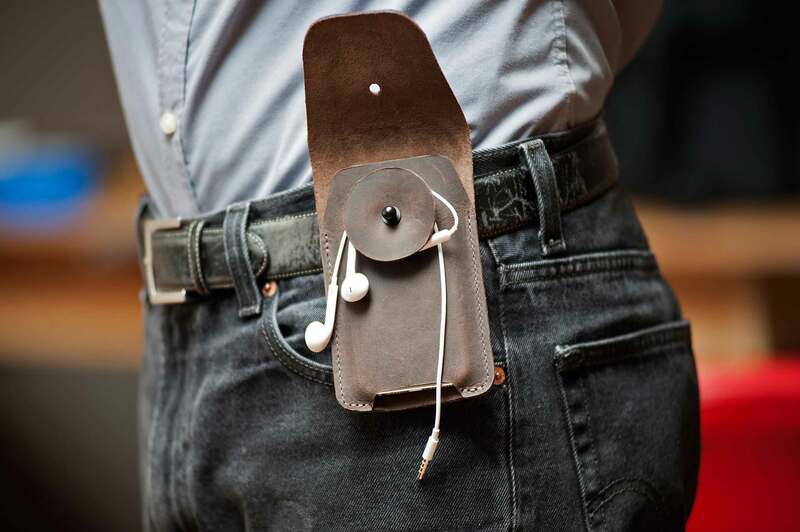 WaterField Designs unveils the iPhone Spinn Case: a slim, full-grain leather case that holsters onto a belt and includes a patent-pending headphone wheel to keep ear buds organized, untangled, and readily available. The inside front panel is lined with scratch-free Ultrasuede ® that adds cushioning and helps clean the iPhone screen as users insert and remove it from the case. The wheel keeps my ear buds organized and out of the way. I can wrap the cord around the wheel as much or as little as I need to. A leather flap covers it up so it looks neat and trim. 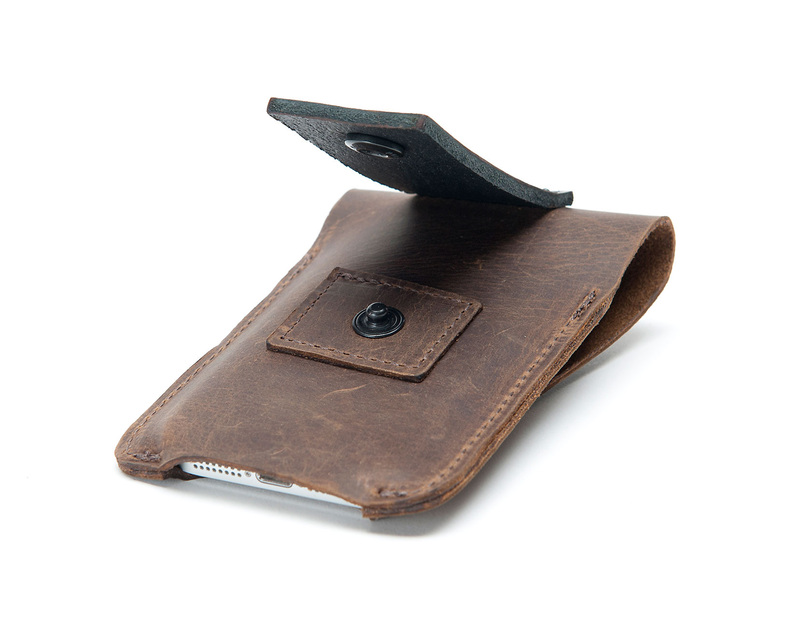 WaterField Designs, an innovative leader in custom laptop sleeves, bags and cases for digital-minded professionals, announces an all-leather iPhone 6 Case—The Spinn. 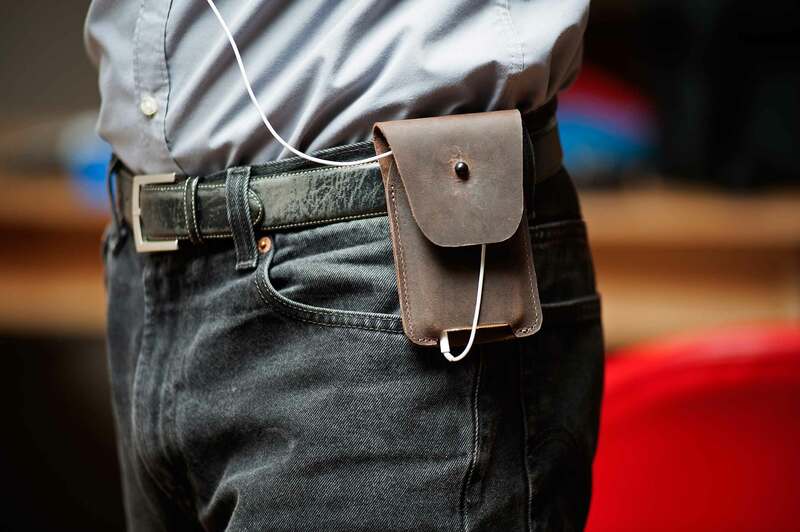 Since phones are getting bigger, but pants pockets are not, the premium leather iPhone Spinn holster includes an optional belt clip and acts as an extension to a pants pocket. 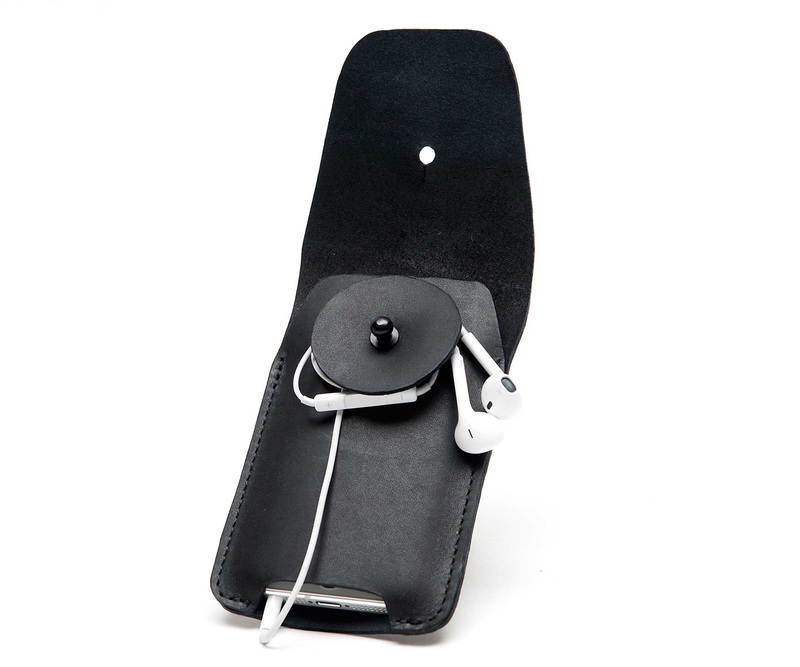 A patent-pending leather wheel keeps ear buds organized, untangled, and readily available. The Spinn iPhone Case—with its clean lines in full-grain, naturally-tanned leather in black, chocolate or grizzly—is a stylish accessory to complement any outfit. 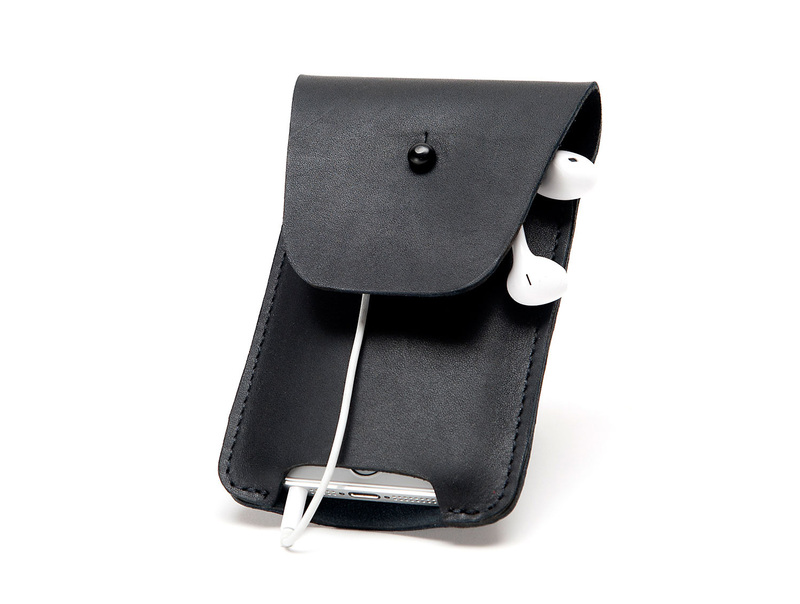 The inside front panel of the case is lined with scratch-free Ultrasuede ® that adds cushioning and helps clean the iPhone screen as users insert and remove it from the case. 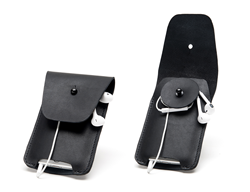 The optional belt clip closes with a strong snap and is easily removed or attached to a belt, while a bottom opening allows users to keep ear buds attached to the phone. 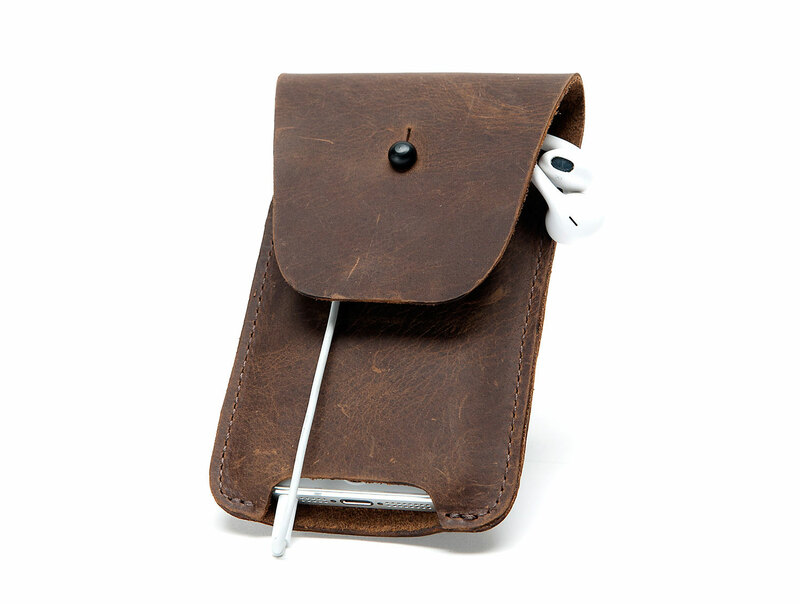 Users can loop the ear bud cord around an innovative, hidden leather wheel to shorten or lengthen the cords as necessary. 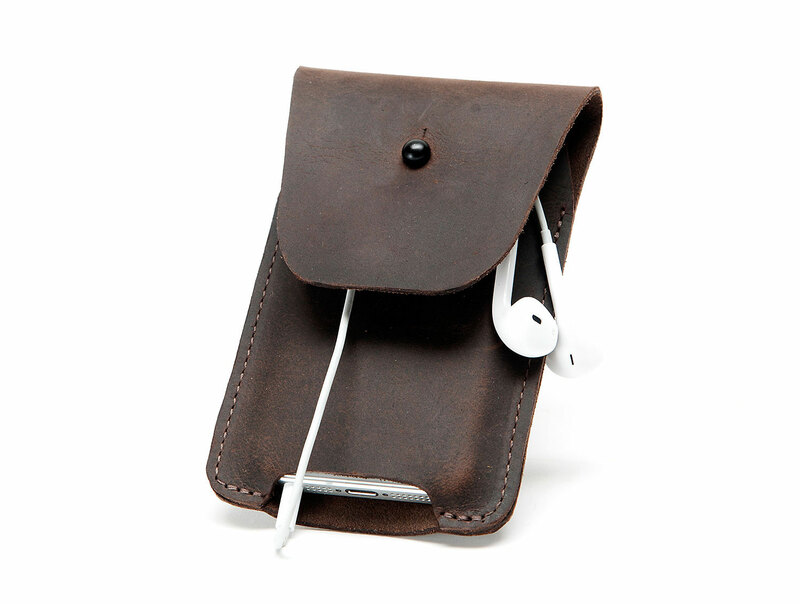 The premium materials and patent-pending ear bud wheel makes the Spinn a truly one-of-a kind iPhone Case. 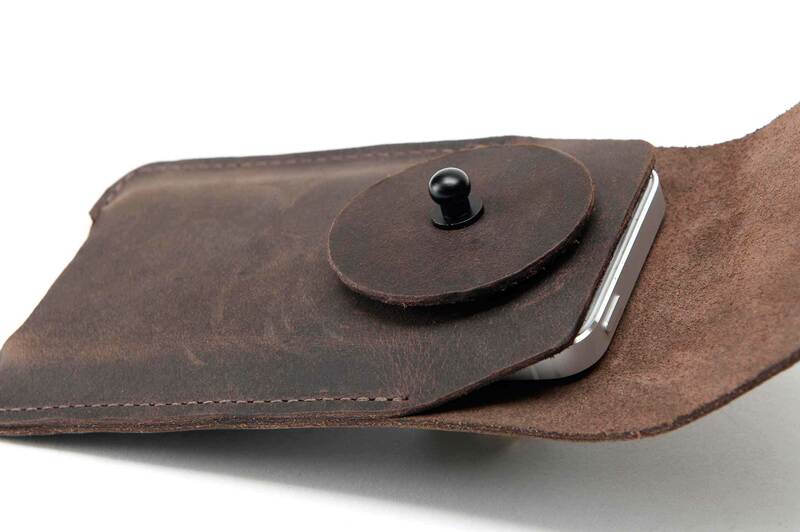 WaterField Designs offers additional iPhone 6 cases to address a range of style and functionality preferences: the minimalist Suede Jacket, the Finn Wallet, the iPhone Wallet and the Cycling Ride Pouch. Sizes: iPhone 6, iPhone 6 Plus and iPhone 5. Two sizes for each phone model—one for the ‘naked’ iPhone and one for the iPhone within a bumper-style case. 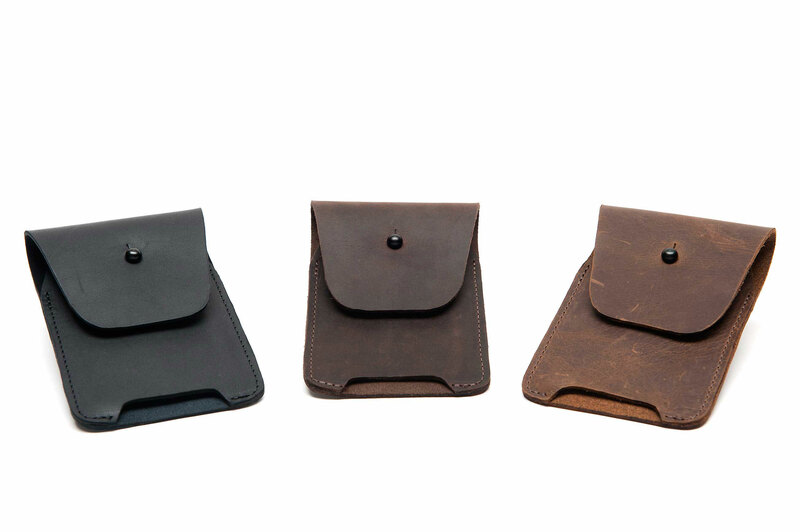 Colors: Black, chocolate or grizzly, full-grain, naturally-tanned leather. Options: Standard or with leather snap-closing belt clip. 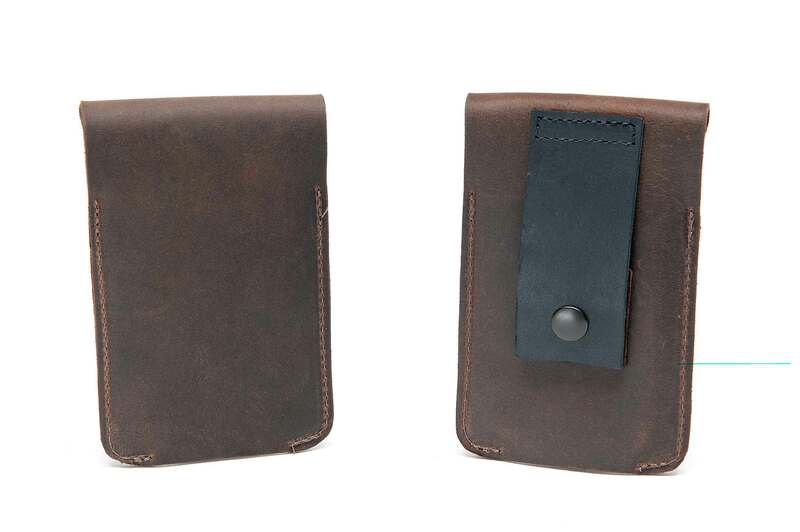 Available for pre-order from WaterField Designs. Shipping by October 10, 2014.